The camp is the latest addition to Bougainvillea Group of Lodges’ group of camps and lodges. 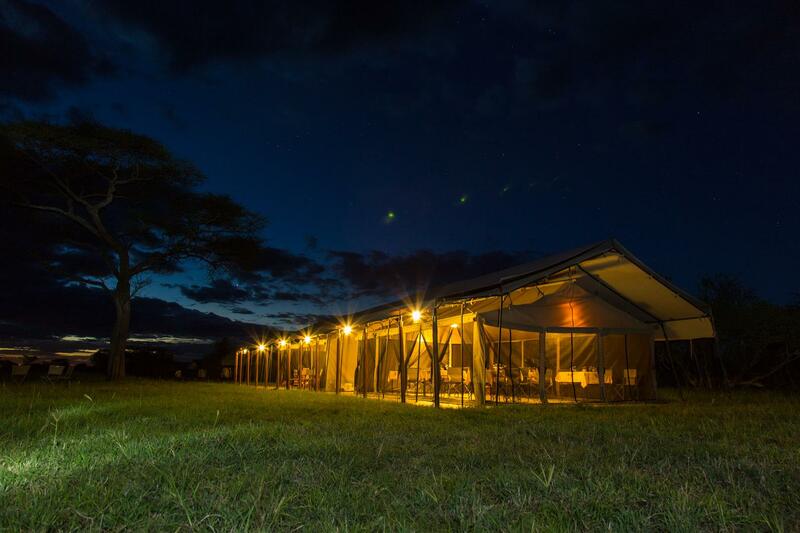 ThornTree Camp is permanently based in central Serengeti, in the Seronera Valley, home to year-round wildlife due to the constant presence of water. This area is famous for spotting lion, leopard and large herds of elephant. Views from the campsite look across onto Banagi Hill and classic vistas of the Serengeti Plains. The entire camp is powered by solar including hot water and electricity. Thorn Tree Camp has 10 classic en-suite safari tents with large extended sitting area. The Tents have solar powered lighting andEn-suite bath with flush toilets. Thorn Tree Camp also has reunning (solar powered) hot and cold water in basin and shower. The tents have wardrobe, writing desk, chairs and table, Charging strip with universal plugs in each tent. Thorn Tree Camp offers Full board (dinner, breakfast and lunch in camp or picnic). There is a Lounge tent with bar with an evening campfire.